Greta Gerwig Had a Baby, Don’t Freak OutBut if you must know, it happened. Oh My God, a Woman Forgot Her Baby in the AirportThe plane had to turn around after take-off. Andy Cohen Presents His New Son to the WorldThe Bravo baby is already gracing the cover of a magazine. An Adventurous Renovation for a Growing FamilyInterior designer Zach Motl took a bold approach decorating a classic prewar in Murray Hill in record time for clients expecting their first child. Chelsea Clinton Is Expecting Her Third Child“We cannot wait to meet our newest addition later this summer,” she said on social media. Kim and Kanye Expecting Another Baby Boy ‘Sometime Soon’Via another surrogate. Kim and Kanye Are Indeed Having a Fourth BabyShe confirmed the news after getting drunk at a Christmas party and subsequently forgetting who she’d already told. Andy Cohen Is Expecting His First Baby Via SurrogateBravo to this! Beyoncé’s Twins Look Extremely Relaxed by the BeachShe posted some vacation photos of Rumi and Sir Carter. Will Having a Baby Slow Down My Career?Women in the business should be asking for (and getting) everything right now. Cardi B’s Instagram Enters the Baby Picture PhaseAnd honestly this is more than fine. How to Get 6 Hours of Sleep a Night As a Brand-New MomA stranger claimed a midwife named Cath could show me the way. Khloé Kardashian’s Daughter’s First Word Was a ThreatContext is everything. Kate Upton Had a Baby Girl!She and husband Justin Verlander shared precious photos to make the announcement. Adam Driver’s Friends Are Telling Everyone He’s Got a Secret KidIs there no honor among “sources close to the star”? Oh No, Jax and Tom Schwartz Want to Have Babies SimultaneouslyWe long knew this day would come, but we were hoping it wouldn’t be so soon. I Love This Gay Penguin Couple and Their New Baby ChickLove is alive and well. Dress Your Baby As a Pumpkin and Call It a DayA handy guide to help you choose a baby Halloween costume. 5 Parenting Gadgets for the Tragically Sleep-deprivedWith the assurance of the well-rested, I can promise you: These gadgets work. Priyanka Chopra Is Inspired by Meghan Markle’s PregnancyShe says she needs to “catch up” to all her friends having babies. Very Pregnant Pippa Middleton Has Reportedly Checked Into Maternity WardAt the same hospital where Kate gave birth. Kate Hudson Had a Baby!Isn’t that nice?? New Zealand PM Jacinda Ardern Brings Baby to the United NationsShe is the first world leader to do so. Rihanna’s Muse Went Into Labor at the Fenty ShowSlick Woods confirmed that she was in labor during the show and gave birth to a baby boy. You Need More Than a Frozen Egg to Make a BabyWhy is IVF left out of discussions about egg freezing? Cardi B’s Baby Is Here and Her Name Is for the KultureThe Migos brand synergy here is truly something. 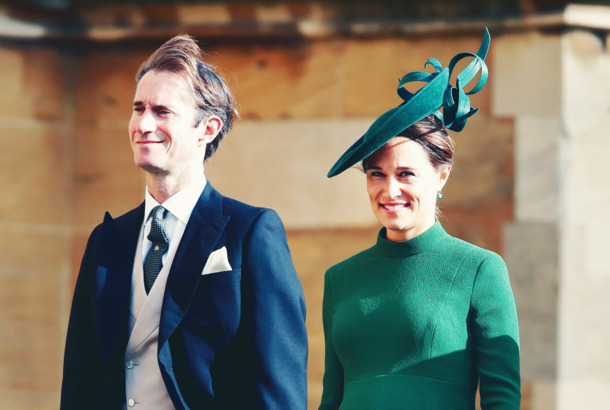 Pippa Middleton Confirms She’s Pregnant with Her First ChildShe announced the pregnancy yesterday in a fitness column. Absolutely Every Single Thing We Know About Chrissy Teigen’s BabyAn exhaustive list. 6 Moms on Motherhood Through the YearsCall your mom. Tristan Thompson Opens Up About His Daughter for the First TimeHe has been quiet ever since he became embroiled in a cheating scandal right before Khloé Kardashian gave birth. Miranda Kerr Had a Baby Boy!He’s reportedly named after her husband’s grandfather. Kat Von D Is Pregnant With Her First ChildAnd it appears the couple already has a name picked out. A Professor of ‘Cute Studies’ Explains Why We Love Babies in GlassesAwww. Kensington Palace Shares Adorable Photo of Princess Charlotte and Prince LouisIn which Princess Charlotte is kissing her baby brother’s forehead. Kylie Jenner Opens Up About Stormi Webster’s NameShe and Travis Scott argue over who came up with it.